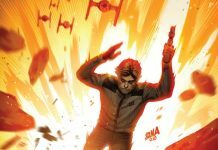 Marvel have announced their comic book solicitations for May 2019. 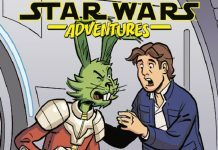 IDW Publishing have released their solicitations list for May 2019. 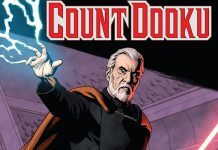 We reivew the 7th issue of the Age of Republic series from Marvel Comics featuring Count Dooku. 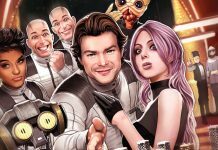 Welcome to week 8 of 2019 and our list detailing what new publications to expect from a galaxy far, far away. 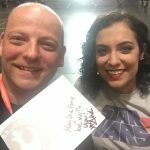 Steve Galloway recently wrote a guest article for Tatooine Times and we wanted to share it with our audience here at Jedi News. 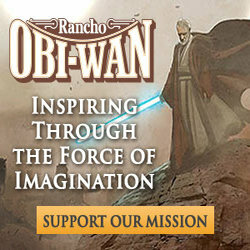 Kristin Baver over at StarWars.com has gone behind the scenes at shoe company Inkkas. 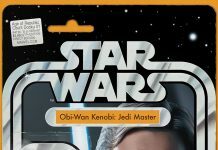 John Tyler Christopher has announced his next exclusive Action Figure Variant featuring Obi-Wan Kenobi: Jedi Master. 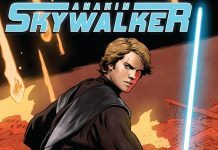 We reivew the 6th issue of the Age of Republic series from Marvel Comics featuring Anakin Skywalker. 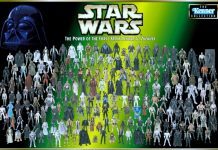 Smyths Toys: LEGO Make & Take Event! 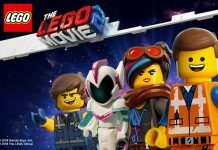 Early alarm clock calls need to be set for Smyths Toys 'Make and Take' event celebrating the launch of The LEGO Movie 2 at all their UK stores this Saturday 16th February. 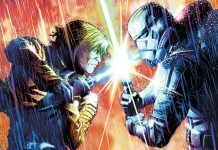 We were all left disappointed when the Star Wars Weekly comic ended at issue 107, but now we have had the great news that issue 108 will finally hit the shelves. 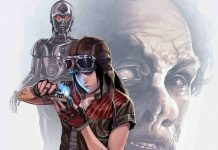 Welcome to week 7 of 2019 and our list detailing what new publications to expect from a galaxy far, far away. 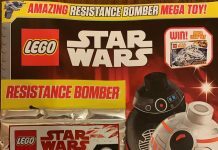 Egmont's LEGO Star Wars Magazine #44 is out now, and comes with a Resistance Bomber from The Last Jedi. 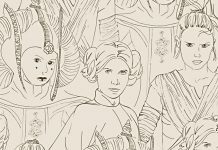 Welcome to week 6 of 2019 and our list detailing what new publications to expect from a galaxy far, far away. 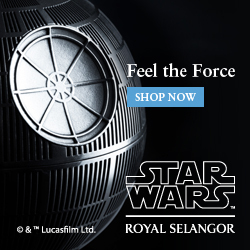 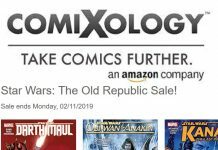 ComiXology are offering up to 67% off over 200 Star Wars titles before February 11, 2019. 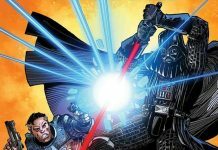 Welcome to week 5 of 2019 and our list detailing what new publications to expect from a galaxy far, far away. 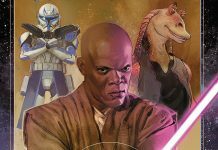 We reivew the 5th issue of the Age of Republic series from Marvel Comics featuring Mace Windu, Assaj Ventress, Captain Rex and Jar Jar Binks. 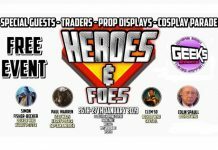 An impromtu visit to Geeks Events, Heroes and Foes convention in Walsall led to a fun day out. 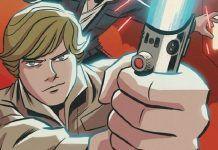 IDW Publishing have released their solicitations list for April 2019. 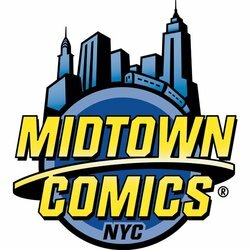 April 2019 is going to be a very busy month! 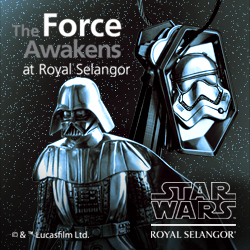 3 new series are launched, while 1 comes to an end. 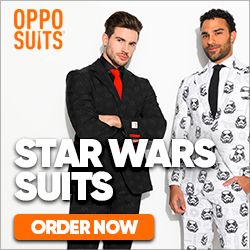 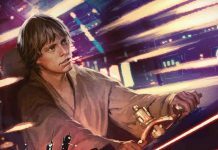 Welcome to week 4 of 2019 and our list detailing what new publications to expect from a galaxy far, far away. 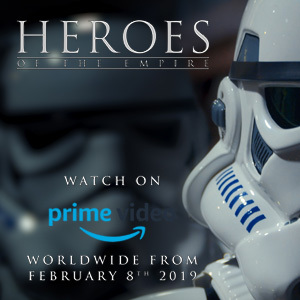 Another 10 part series is on the way concentraing on the period of the Rebellion in April. 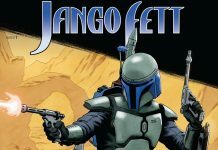 We reivew the 4th issue of the Age of Republic series from Marvel Comics featuring Jango Fett. 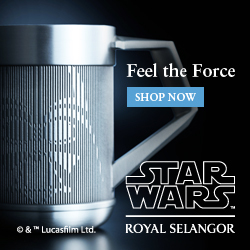 Has anyone else spotted the difference? 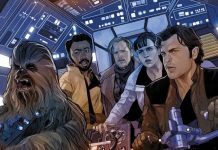 It’s award season for the film industry and ILM have received a staggering 17 nominations for the 17th Annual VES Awards. 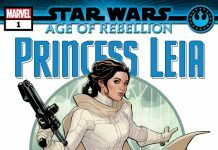 Welcome to week 3 of 2019 and our list detailing what new publications to expect from a galaxy far, far away.